Yesterday after days of rumors, BYU’s Maxwell Institute was rocked when it was announced director Gerald Bradford had fired BYU professor Daniel C. Peterson as the editor of the Mormon Studies Review, previously named the FARMS Review, which Peterson had founded twenty-three years ago. Peterson’s associate editors were also fired, some reportedly without notice. The publication has since been suspended. BYU professor William J. Hamblin, who is a close friend of Peterson’s and has worked with the Maxwell Institute for several years, quickly took to the internet commenting on the scandal. Giving brief background to the scandal, Hamblin notes that FARMS — the previous organization that has effectively evolved into the current Neal A. Maxwell Institute for Religious Scholarship — initially became part of BYU as part of what Hamblin calls “a hostile takeover” — Hamblin was on the board of FARMS at the time — and Hamblin says that he “resigned in protest” when the University effectively forced FARMS to merge with BYU, predicting at the time that a merger would prove disastrous for the organization’s future. Dr. William J. Hamblin is currently a history professor at BYU who teaches classes on the Crusades, the Middle East, and various religious topics. 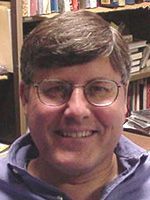 He served on the board of FARMS until 1997 and has published scores of articles, papers, and reviews with the organization before and since then.